Know nothing about rowing and want to get clued up? You're in the right place. Here's a no-nonsense guide to everything you ever needed to know about rowing, where you can get the lowdown on all the rowing lingo you're likely to hear down by the river over the course of your time at Oxford. I wish someone had explained to me what a 'canvas' was before I had to umpire a bumps race... Anyway, hopefully this will all be useful and interesting. Dive in. These are the kinds of boats you will find most frequently on the river during your time at Oxford. SHBC have all of these kinds of boats. 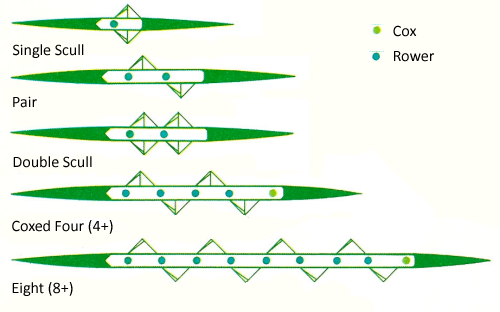 You may also see a few Coxless Fours (4-), but these are less common, and some Quadruple Sculls (4x). Most of the rowing you will do at St Hugh's will be in Eights, but you will at some point have the pleasure of using a Four, and if you're really super-keen you can have a go in the Single or the Pair (after you've been capsize tested). If you ever hear anybody say 'Empacher', 'Sims', 'Vespoli', 'Fillipi' or 'Janousek', these are all just different boat manufacturers. Empachers, for example, have a distinctive yellow shell (and now we have one!). The blades we use are called cleaver blades, due to their shape (a bit like a meat cleaver knife). There's not that much more to say about them really. The handles are sometimes wooden, sometimes have grips on, and the blades are side-specific, i.e. 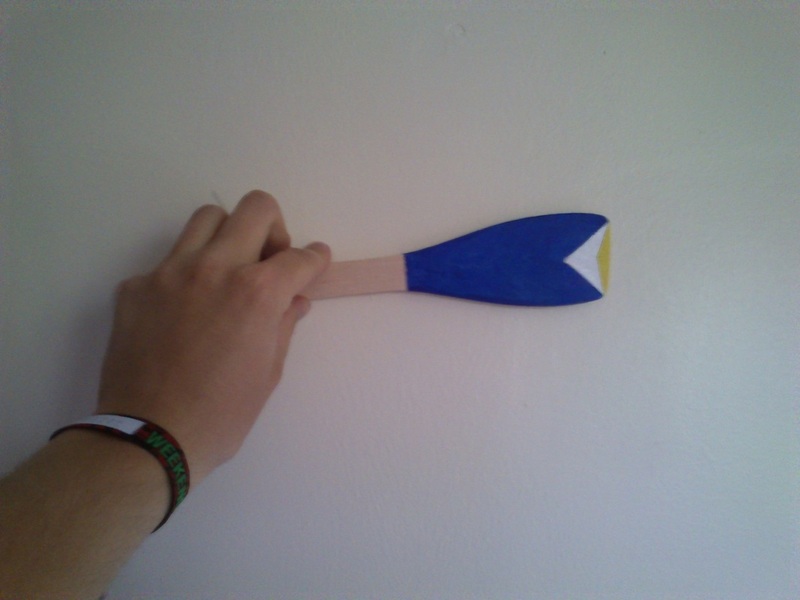 bow side blades are different to stroke side blades (The spoon of the blade curves the other way). The image above shows the pattern used on our blades. The gate holds your blade in place while you row. The rigger is what supports your blade and provides a point for it to pivot on. The footplate has the shoes on. It's adjustable for rowers of different heights. The slide is the bit the seat moves back and forth on. It is also adjustable (like the footplate). The seat... well that's where you sit. Hopefully these pictures will help you to understand the layout of the boat, and what all the positions mean. The green arrow clarifies the direction the boat is moving. In yellow are shown the names/numbers of all the different positions within the boat. When you're in the boat it's far easier to deal with numbers rather than people's names, due to crews changing from outing to outing. The lines in red and blue represent groups of these positions which are given collective names. 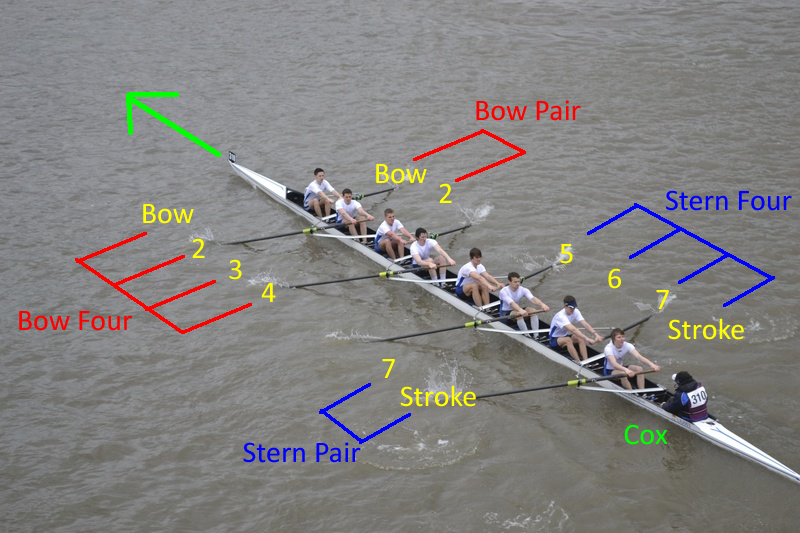 The Bow Pair/Stern Four terminology can be extended to six rowers, where for example Stern Six would be Stroke, 7, 6, 5, 4 and 3. The section of the river Thames which flows through Oxford is called the Isis, and most, if not all of your novice rowing will be done here. The map below shows all of the major locations along the Isis, and will be helpful if you are ever asked to marshal or umpire a race. A further map can be found on the OURCs website, here. Note: St Hugh's Boathouse is the leftmost boathouse on boathouse island. Shown here is a chart which depicts all the blade designs for every college. Click on the image to view a larger version which you might actually be able to read. You will be shown this before your first outing, so don't panic if you don't quite get it yet. You will also be given loads of coaching points in your first term of rowing, it'll be hard at first, but persevere and you'll get there! Click any of the images in this section to enlarge them. The first thing you'll hear when you get into the boat every outing. Starting from bow, each rower shouts their number/position to tell the cox they are ready to push off from the raft. This means stop the boat as soon as humanly possible. Jam your blade in the water and do everything you can to slow the boat down. This one is like applying the brakes. Push your blade into the water, usually at around 45 degrees, just enough to slowly bring the boat to a stop. 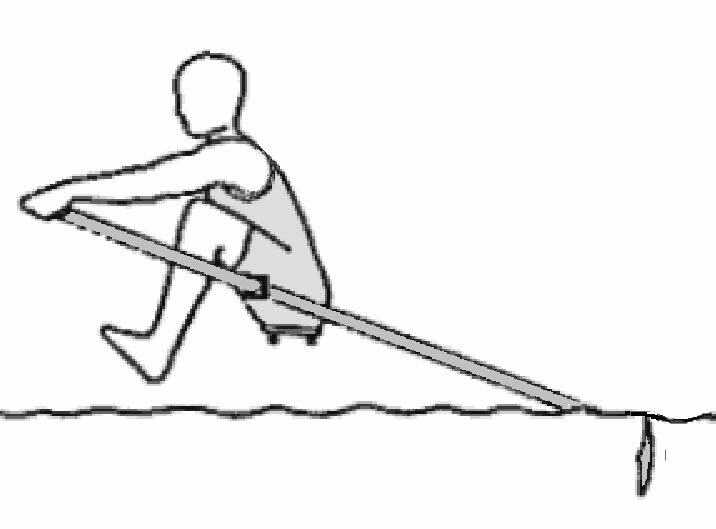 Stop rowing and sit in a relaxed position. Keep your blade off the water as you would during the recovery of the stroke. From the easy there position, drop your blade flat onto the water. This somewhat confusing sounding call is shorthand for 'increase the rate by 2 on the drive and decrease by 2 on the recovery'. Basically push harder in the water and then slow down the recovery. This means the stroke rate is going to increase by 2 strokes per minute. Called at the beginning of a racing start sequence. This is where you take fairly slow, very powerful strokes, usually at half or three-quarter length, to get the boat moving. The second stage of a start sequence. During the wind strokes you pick up the pace of the boat by increasing the stroke rate. A wind can also be called mid-race. Move from the shorter length strokes on the start to full length strokes. This is done gradually over a number of strokes. Lengthen can be called at any time if the cox feels people are shortening their stroke. Take the rate down significantly, spending much more time on the recovery. 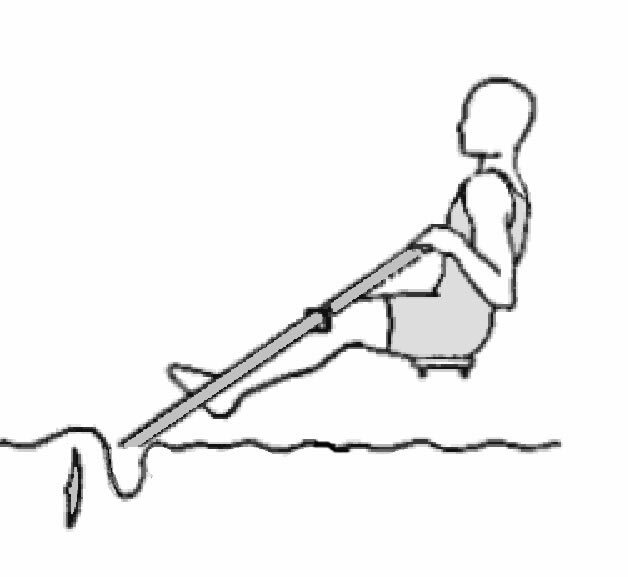 Increases the 'run' of the boat (how much it moves between each stroke). Effectively the boat speed remains the same, but at much lower rates, and with much less effort. Raise or lower the handle of your blade when balancing to ensure the boat is level. 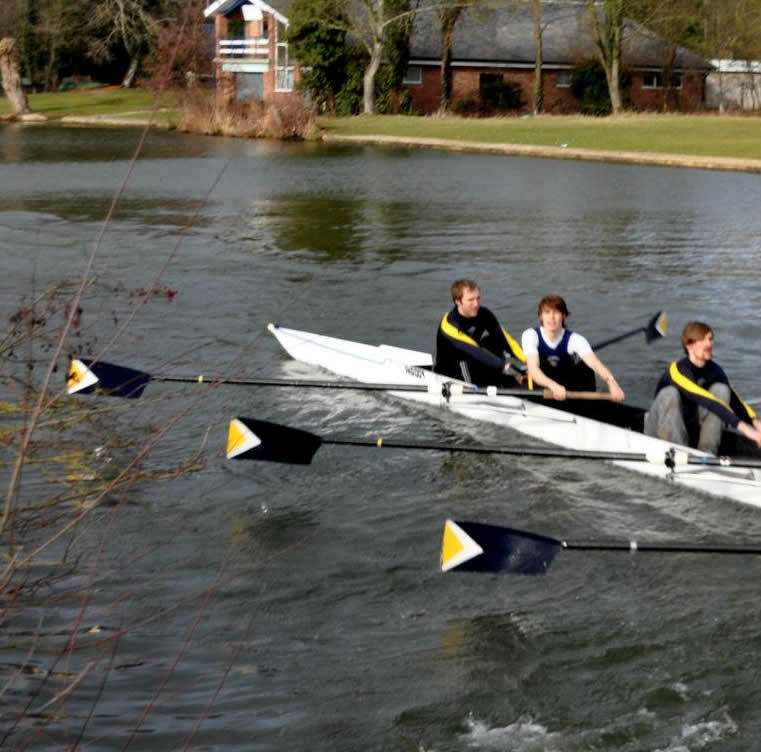 There are three types of racing undertaken at Oxford: Time trial, side-by-side and bumps. In time trials, all boats race the same course separately, and try to set the fastest time. For side-by-side races, two boats race simultaneously over the same course, and the first boat over the line wins. Bumps is more complicated. There are 13/14 boats per race, with boats arranged in a long line. There are 1.5 boat lengths between any boat and the boat in front/behind it (this is illustrated in the header picture on the Racing page). The aim is to catch the boat in front, and 'bump' them. Bumps can be achieved either by overtaking a boat entirely, or through contact between any part of a boat, crew or blades. Crews which bump switch places with the crew they bumped on the next day of racing. This will be your first competition whilst rowing at Oxford, held Wednesday to Saturday of 7th Week in Michaelmas Term. When you arrive, you will be assigned to a novice crew, coached by senior rowers from within the boat club. They have around 6 weeks to turn you into the best rowers you can be, and hopefully, you'll win some races. ChCh regatta is side-by-side racing, involving hundreds of novice crews. The first round is over a 500m course, and if you win, your next race will be over a 750m course. If you lose, you get to race a different losing crew over the short course, and the winners will advance to the next round. From then on in, it's a straight knockout over the long course. Anything can happen. It's quick, it's unpredictable, and it's loads of fun. IWL is a series of time trial races held throughout Michaelmas and Hilary terms. Crews row over a set course, from Donnington Bridge down to the bumps stone at the head of the river. The aim is simple: Set the fastest time. If you set the fastest time of all the crews, you win a trophy. The main reason we enter IWL is for race experience, it's a great way to prepare crews for racing in Torpids and Eights. 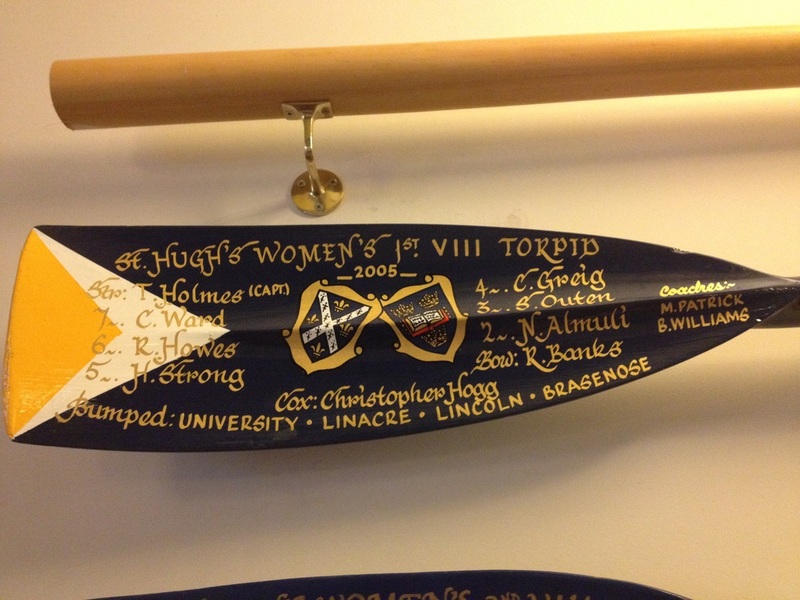 Torpids is the first bumps regatta of the year. There are 6 divisions, 13 boats per division, all starting a boat length and a half apart. Divisions 1 - 5 are 'fixed divisions', and division 6 is a 'rowing on division'. Fixed divisions automatically qualify each year, but rowing on divisions must 'row on' by setting a qualifying time which is amongst the top 13 boats. The top boat in each division rows both in their own division and at the bottom of the division above as the 'sandwich boat'. 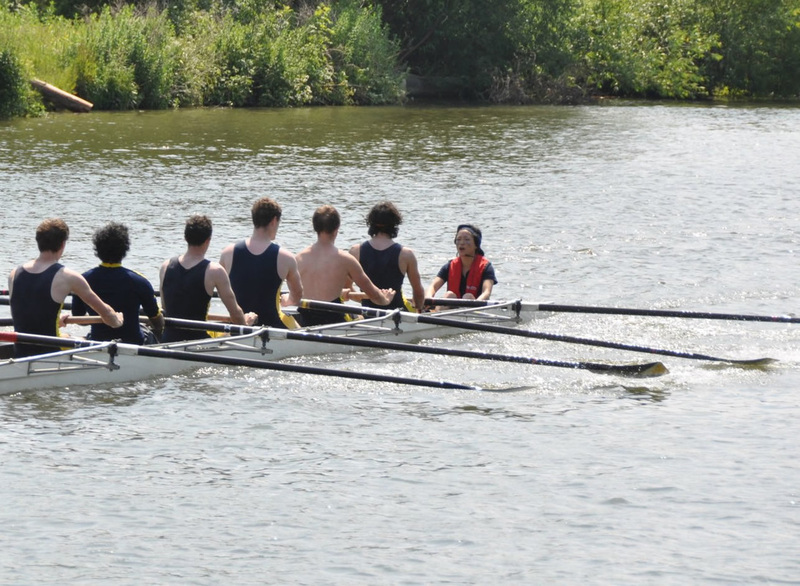 In Torpids if a crew bumps the boat in front they 'bump out' (stop rowing and earn a bump). The crew they have bumped must carry on racing and try to avoid being bumped by more crews behind it. They can then go on to bump crews ahead too, but if they bump on every day and are also bumped at any point in the competition, they cannot earn Blades. 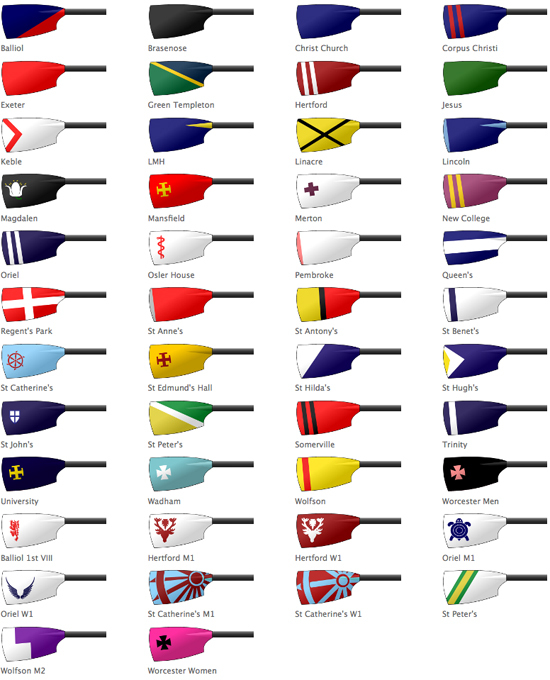 VIII's is also bumps racing, but there are 7 divisions, each with 14 boats. The boats are arranged in the same way as Torpids, where the top 5 divisions are fixed and divs 6 and 7 are rowing on divisions. The difference between Eights and Torpids is what happens to bumped crews. During Eights, when a boat bumps the boat ahead, they both stop racing. This can be a blessing or a curse for crews which perform badly. On the one hand, you can only be bumped once per race, but on the other hand, if you get bumped right at the start, or just before you were going to bump the crew ahead, it's all over and your race will be cut short. The Saturday of VIII's frequently draws over 15,000 spectators, and the atmosphere down by the river makes it an amazing experience to be part of. 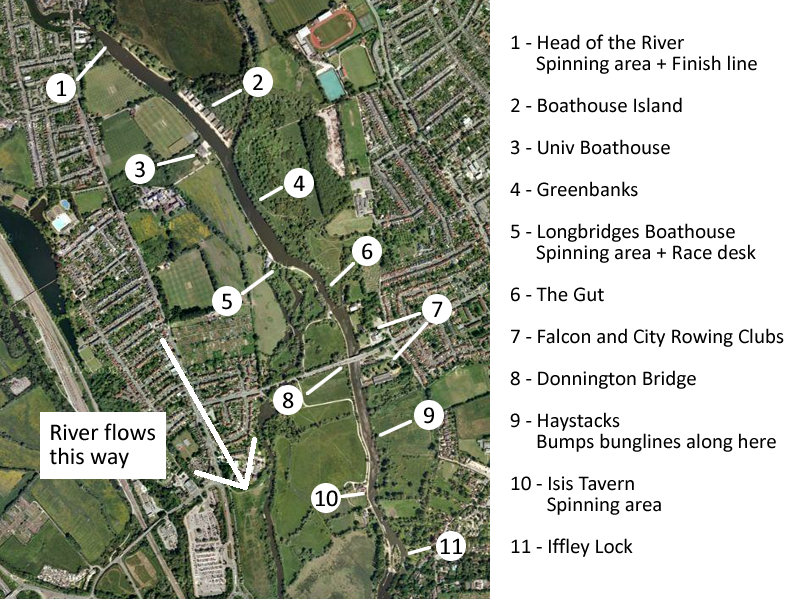 Bumps Racing can be confusing, so here are just some of the terms that you might hear down at the river in Hilary or Trinity term. Imagine there are three crews, A, B, and C, all arranged consecutively in the division. 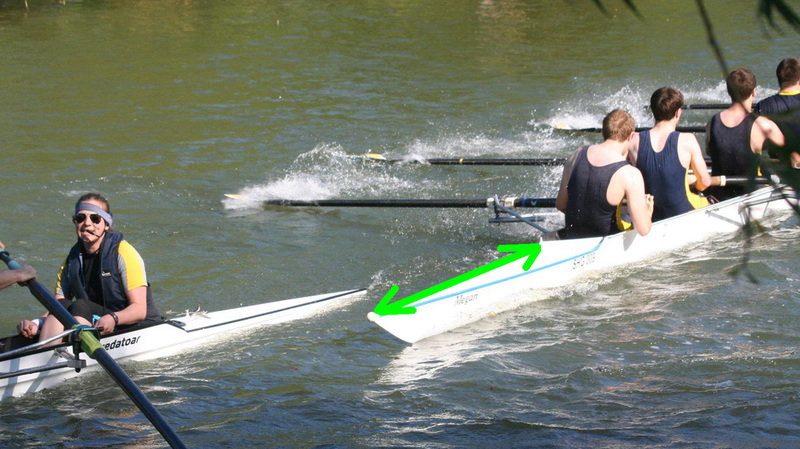 If B bumps A, then B stops rowing, leaving crews A and C to continue racing. If C then catches A, crew C gets an 'overbump', and will move up one place in the division, with crew B also moving up one place, and crew A moving down 2 places. The final order is then B C A from top to bottom. This time there are four crews, A, B, C, and D. If C bumps B, they both stop rowing and switch places the next day, leaving A and D to continue. If D then catches and bumps A, they also switch places, so the final order of the boats is D C B A from top to bottom. You may be able to make more sense of what's going on by looking at the bumps charts on the OURCs website. 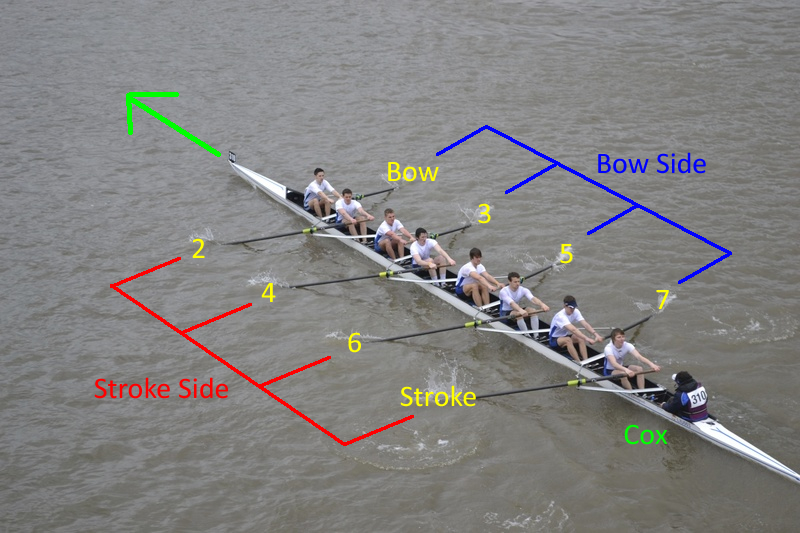 If three crews, A, B and C are all arranged consecutively in a division, and C bumps B, C will stop rowing, and B will continue. If B then goes on to bump A, this is considered a chain bump, where if A doesn't go on to bump ahead, effectively A and C swap, with crew B retaining their position. This is the title awarded to the boats at the very top of division 1 in both the men's and women's competitions at the end of racing. The 2 crews will each get the 'Head of the River' Blade and a trophy. Foot of the River is the very bottom of the lowest division. You don't really want to end up here. This refers to a specific amount of a boat length. There are obvious ones, like multiple boat lengths, half and quarter boat lengths, and then there is a canvas. It's the same length as the bit between the end of the boat and the first rower, bit less than a quarter of a boat length. You'll hear it a lot during umpiring or whilst watching bumps races, especially when crews are close to bumping. During bumps competitions, there are two main accolades which can be achieved by our crews: Blades and Spoons. Blades are good, Spoons are bad. If you bump on every day of a bumps competition (without being bumped), you get blades. It's not an easy thing to do, as so many things can go wrong, but if your crew do manage it, you can buy a full-size trophy blade (see above) to mark the occasion. One will also be put up somewhere in college so your name will remain on the walls of St Hugh's for years to come. If you are bumped every day (something you want to avoid) you achieve the slightly less iconic award of Spoons. Someone within the boat club will paint you one up and you will receive this honour completely free, to be presented in your room for endless enjoyment. The names of all the crew are written on the back, along with a list of all the crews who bumped you. 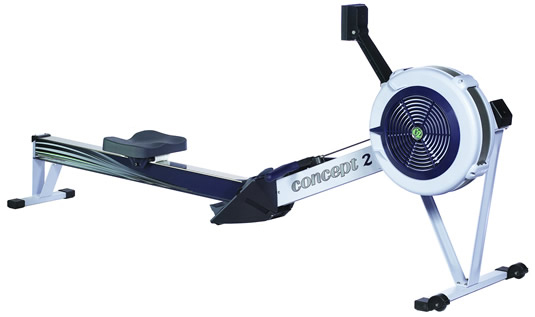 Erg is short for Ergometer, which is the technical name for a rowing machine. You will be very familiar with these in no time, as they make up a large portion of any crew's land training. When you first join SHBC you will be taught how to use them properly, then throughout your time at Hugh's you will use them to perfect technique as well as improve your fitness. The stroke rate measures how many strokes the crew are making per minute. M1 race rate is around 36 strokes/min, but can get above 50 off the start. By contrast, paddling rate is around 18, and if you can get down to a rate 12, that's what we call 'Dilnot Rowing'. Apparently this is so-called because Megan Patrick (esteemed former SHBC M1 cox) wanted to call it 'Big Daddy' rowing, but decided it sounded wrong for English people to say that, so her crew thought 'Who is the big daddy?' and concluded it was much loved former principal Andrew Dilnot. The cox box is a nifty bit of kit coxes use (along with a microphone) to amplify their voices through speakers in the boat. 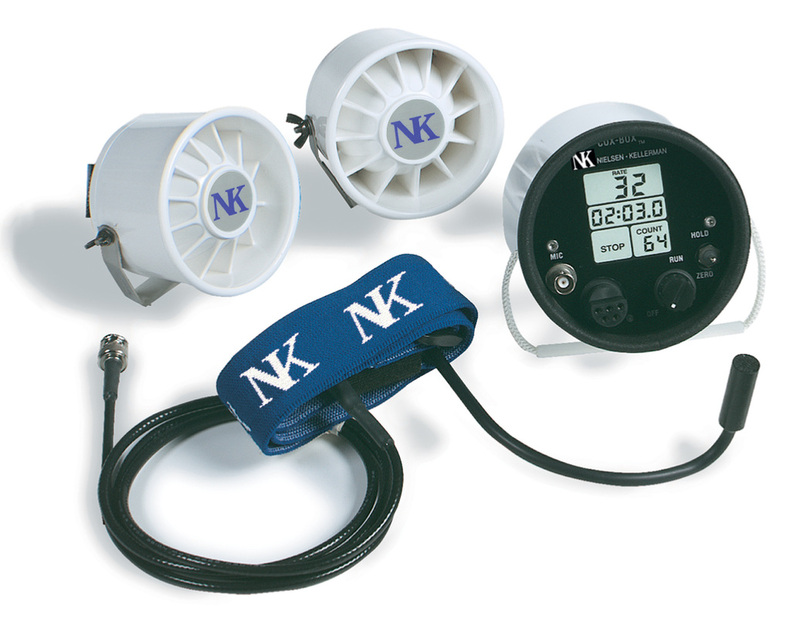 The cox can also use the cox box to record the rate the crew are currently rowing at. Our cox boxes all have names: Alpha, Bravo, Charlie and Delta. 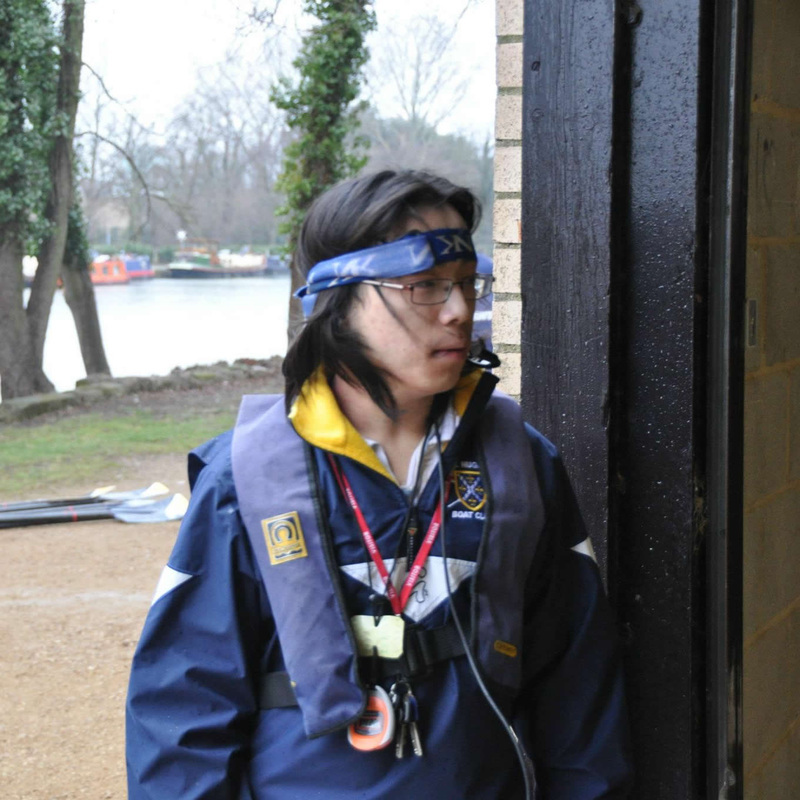 Coxes have a lot to think about in the boat - from steering and coaching, all the way through to boat safety, so they need to be pretty competent. They are, therefore, graded in terms of experience and skill. There are three different levels: Novice (N), Experienced (X), and Senior (S). When someone first starts coxing, they are N-status. To become X-status, you need to have done three terms of regular coxing, or have an assessment through OURCs to ensure you are competent enough to be upgraded. S-status is more difficult and requires experience of three different rivers, as well as more technique-based knowledge, which you need to be able to effectively communicate to your crew. This can only be achieved through an assessment. Currently Gavin (pictured) is our only S-status cox, and most of our other coxes are X-status. OURCs stands for Oxford University Rowing Clubs, and is the body which organises, runs and regulates everything to do with rowing at Oxford. Their website is www.ourcs.org.uk, and contains lots of useful stuff like regulations, start and finish orders for racing and the flag status information. 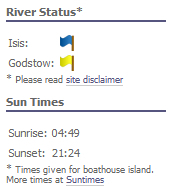 They also have sun times, as boats are only allowed out on the river from one hour before sunrise to one hour after sunset. They also tweet race information, somewhat sporadically, which can be good for keeping up-to-date when you can't be at the river. Follow @ourcs if you're interested. OURCs check the stream conditions at 6am every morning and use the flag system to tell everyone whether it's safe to row or not. Green flag means the conditions are good enough for novice coxes to go out. Blue means the conditions are less good, so crews must have an X-status cox. Amber Flag conditions are worse still, only senior crews with S-status coxes can go out. Under red flag no crew is allowed out under OURCs rules. Grey flag means that nobody is updating the status so you must make an assessment yourself before going out on an outing. On the 29th of November 2012, OURCs introduced a 'Doom Flag' status due to the appalling river conditions following Christ Church Regatta week. You can see the photos here. I think you'll agree, the flag change was justified. And hilarious. Click below for larger versions.